Ramboll has been appointed by On the Fosen peninsula about 50 km north of Trondheim in Norway, Fosen Vind is the largest onshore wind project in Europe, and it is believed to be highly competitive in terms of cost of energy. Including the central grid connection, the total investment will be in the range of NOK 20 billion, making it one of the largest investments ever made in land based sectors in Norway. When finished, the wind turbines in the Fosen Vind project will generate enough electricity to power 170,000 households. With 80 Vestas wind turbines of 3.6 MW each Storheia Wind Farm will be the largest of the wind farms in the 1000 MW Fosen Vind project. It is estimated to produce 1 TWh of electricity per year, corresponding to the energy use of 50,000 Norwegian households. Ramboll’s scope includes power, road and geotechnical engineering as well as landscape and environmental issues. “Everything needs to be ready for turbine installation in 2019”, says Per Halvor Bekkelund, who is Ramboll’s project manager. “We have been working with Veidekke since July 2016 on the tender design, so we are well prepared. The construction, which is based on a design and build contract, is massive, and includes 62 kilometers of roads in a very complex terrain, 80 hard stands and concrete foundations, hundreds of kilometres of electric cables, as well as a service building and sub-station. Rough climate conditions through large parts of the year represent an added challenge”, Per Halvor Bekkelund states. Ramboll was chosen for a number of reasons, according to Espen Borgir Christophersen, market responsible for wind in Norway. “First, we can offer an interdisciplinary team with experience from onshore wind in general and experts in all required fields. Furthermore, we have been involved in the Fosen Vind project for several years, as owner’s engineer on infrastructure. We have even carried out the detailed design of some of the complicated access roads that are needed to get the turbines up on the mountains. Finally, most of our team is based in Trondheim, quite close to the site”, Espen Borgir Christophersen says. 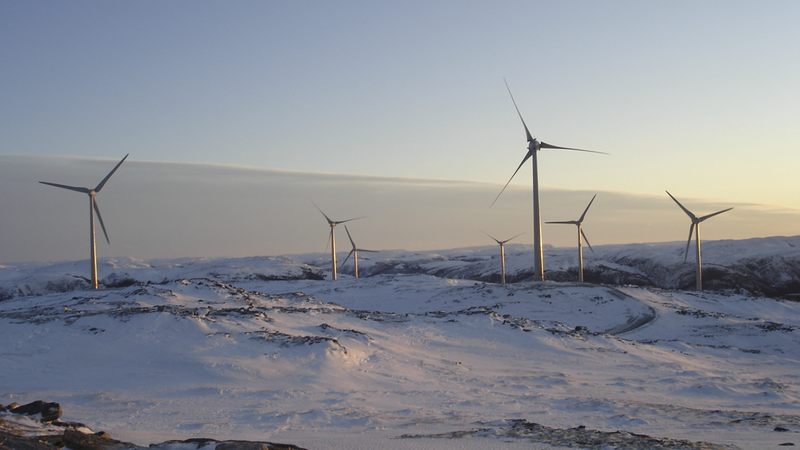 Fosen Vind DA is owned by Statkraft (52.1 %), TrønderEnergi (7.9 %) and Nordic Wind Power DA (40.0 %), a European consortium established by Credit Suisse Energy Infrastructure Partners supported by the Swiss power company BKW. Ramboll was also involved during the establishment of the company and the optimisation leading to the investment decision. Veidekke is the largest contractor in Norway and the one with the longest reference list of building wind farms.